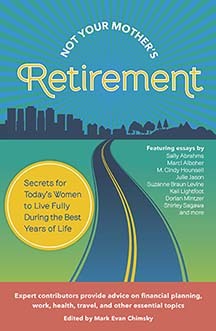 Sally Abrahms is a nationally recognized writer on baby boomers and seniors. She focuses on lifestyle, senior living, caregiving, 50+ technology and intergenerational initiatives. Sally has published in The Wall Street Journal, TIME, Newsweek, The New York Times, AARP, PBS’s nextavenue.org and the Washington Post and also writes content for companies and organizations that focus on older adults. She is the author of two books as well as a contributor to Not Your Mother’s Retirement and AARP’s Where We Live book series.